On a Tuesday in the winter of 2007 I went to the library with my papa, it was my home away from home. 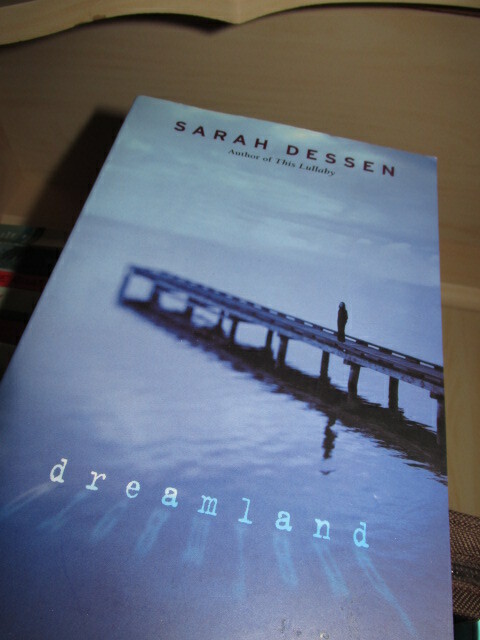 The Librarian who knew me by name told me I should read this book called Dreamland, By Sarah Dessen. I took this book home, and sat it in front of me. I had gotten four books that day, along with Dreamland, I just looked at this book, I wondered where this book would take me. So as any good reader does. I threw myself into the book, and when I came up for air three hours later, I was in love, with the story, the way the book played out. I finished the book and when I went back to the library that friday I went over and searched for any other books by this author Sarah Dessen, A book sat on the shelf, and I felt almost as if it called out to me, which I know makes me sound crazy, but I picked up a book called Just Listen. I took this book home and threw myself into it. And I never came up for air. It was amazing, I felt as if I had known Annabelle and we were friends. Like everything she was saying was thoughts running through her head. when I finished the book. I sat for a very long time. I couldn’t get it out of my head. This book changed the way I had thought about somethings. I was amazed and still am by this book. 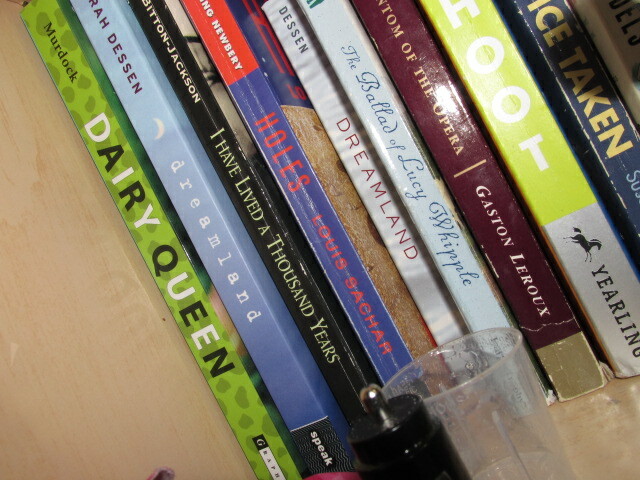 From then on I read Sarah Dessen’s books each one meaning something to me. Each one taking a part of me and making me better. When I saw Saint Anything was coming out I was amazed, I couldn’t’t wait. I was so excited I preorder the book I waited and then.. I was told it was back ordered, which sucked, but anyway.. I know when Sarah Dessen writes a book its not just going to be good, its going to change something inside you, it’ll make you think, feel, believe, and have way too many emotions the books she writes are hearts souls and you feel by the end of the book that you know this person. Like they are your friend. So as I still wait for Sarah Dessen’s new book, I know it’ll be amazing, because they always are. Sarah Dessen is one of my favourite authors and a hilarious person to follow on twitter, she is amazing. I love the books she writes and I love the way she writes them. So this has been Surprise Tuesday!! Surprise its Tuesday which today means that Saint Anything came out and I still don’t have it. Go read it and follow Sarah Dessen on twitter because she is fantastic and buy her books and follow her everywhere else too. I can’t wait to read it! And they do have such a deep meaning! !